This is AMAZING! I found this on storytimewithunclecraig.tumblr.com/ It is a complete Puch Magnum moped taken apart for a rebuild. I have went through the photo a couple of times and I can't find anything missing. 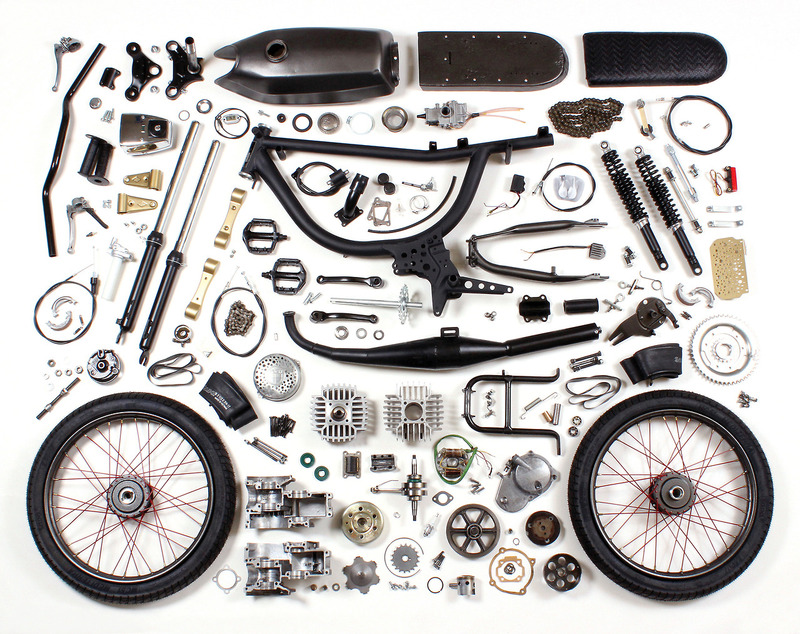 Major props for a solid pic (and idea to take a pic with all the parts laid out before the rebuild). Still tracking the chance for severe storms later today across Northern Ohio. The main threat will be hail and damaging winds. The cold front will still be pushing through tomorrow so all of the pop-up showers and storms today will be ahead of the front. A few lingering showers and storms early Thursday as the cold front moves south. Then the front stalls out and sits stationary over Southern Ohio for Friday. With the front becoming stationary it will keep that chance for rain around for Friday. Some of the models are also trying to keep the front close enough on Saturday for a slight chance for rain. Sunday is looking drier as more dry air pushes in and slowly nudges that front further south. So keep an eye to the sky for storms later today and have a good one!